but kind of cool! Inside each fat quarter from JoAnn is a piece of cardboard. 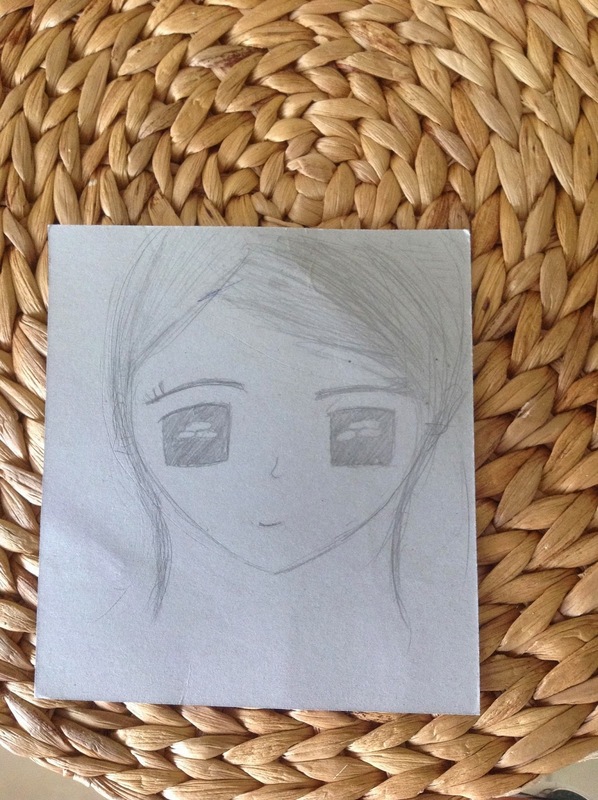 When I took off the label and took out the cardboard from within each one the other day, I found this drawing on one! Obviously the person wrapping the fat quarters put a little whimsy into her job that day! It made me smile. I thought I'd do a brief book review, for all the hundreds who read my blog, ha ha. 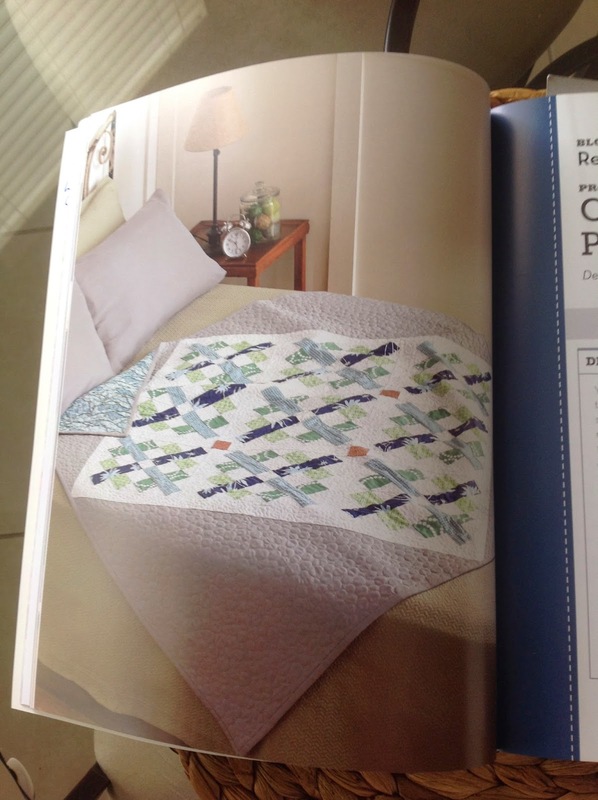 This is a very good purchase I made on Amazon, one of only two quilt books I've purchased this winter, both of them on modern quilting. 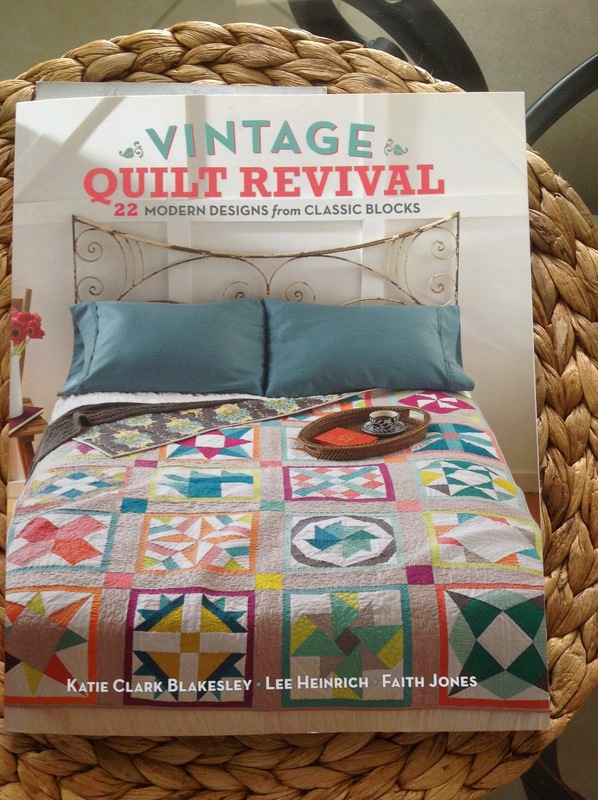 The book is Vintage Quilt Revival by Katie Clark Blakesley, Lee Heinrich, and Faith Jones, avid bloggers and modern quilters. There's something about blue with a pop of yellow. 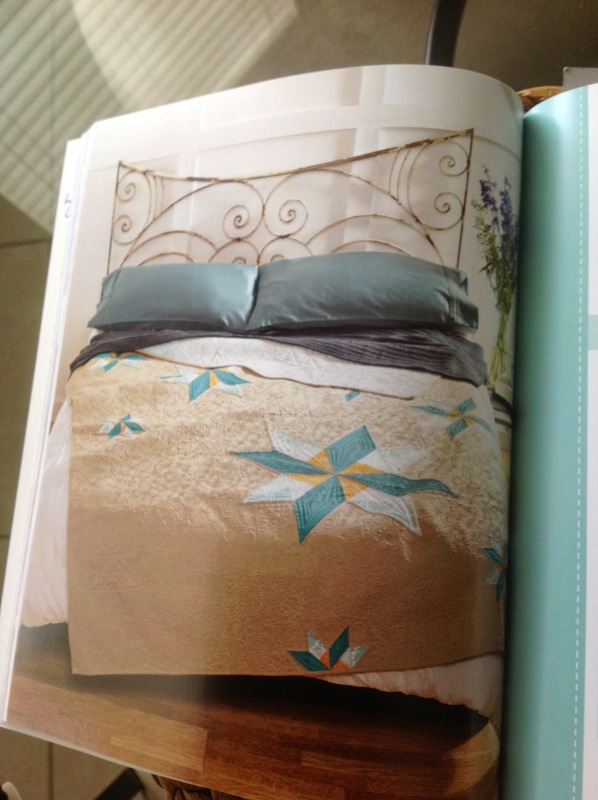 And room for quilting galore! One of the components of modern quilting is that there is something unexpected in the quilt. While I've set blocks or centres (my self round robin current project) on point, I hadn't thought to set an entire quilt on point and leave the huge triangles blank! Traditionally, there would probably be appliqué there. So I'm finally figuring out just what makes a modern quilt: the unexpected, whether it's a setting, or a use of colour, or unusual fabric choices even. Negative space: intentionally leaving blank areas, whether it's omitting portions of a block or leaving areas such as the grey above, blank. 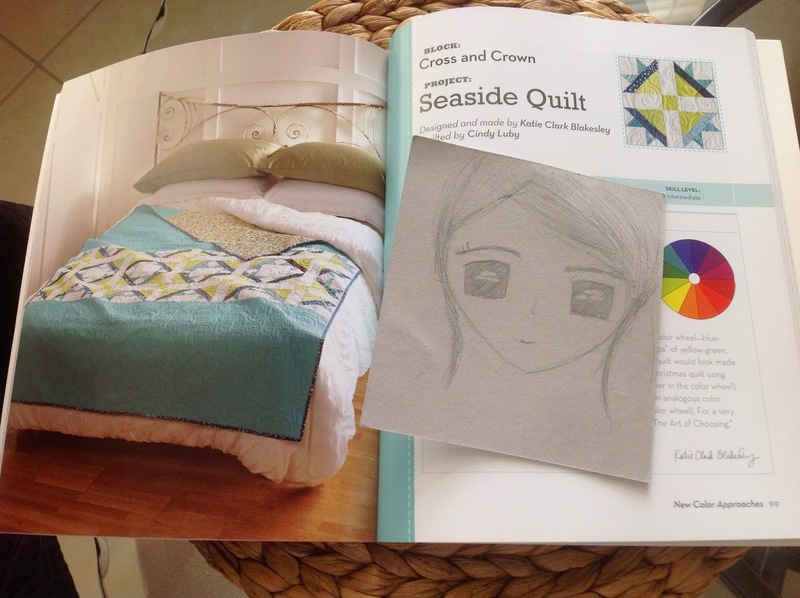 Often, this is a place to showcase quilting. Also, it seems to me that bright colours are used, and set against a white or grey background. Finally, a lot of solids are used. A lot. 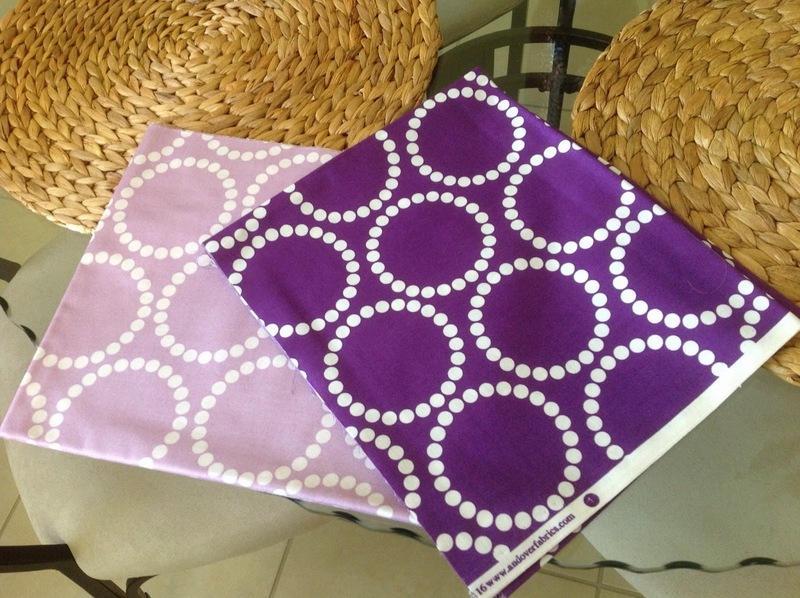 However, that seems to be changing as I'm seeing more and more prints in these quilts, but prints that are graphic in nature, such as larger polka dots, or circles of dots as in these Lizzy House prints I bought a month or so ago from Christa Quilts! I have a couple of design ideas for my own modern quilt. Hopefully, I'll make one quite soon! OMG, when I googled Lizzy House, I found her blog! And her! I thought it was just a name for a group of designers, like House of _______ (insert name here). Good grief, I am shamed in the fabric knowledge world. 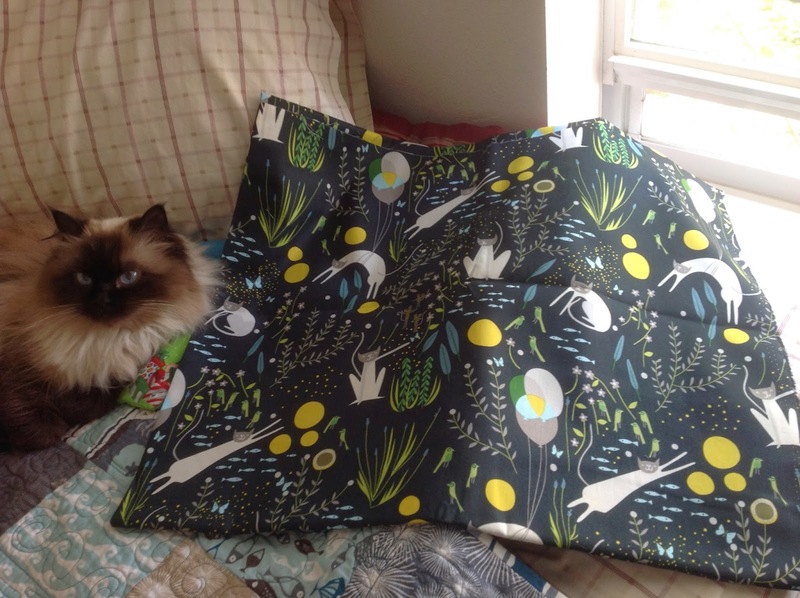 I just read a MOST enjoyable post from March 8, 2014, about her cat nap dress contest, so--SEW--worth a read! And she's a vegetarian too! And talk about serendipity: Pink Chalk Fabrics had a 20% off sale last week, and I NEEDED to have a few more Tula Pink (on sale already) fabrics, and LOOK what I also bought!!!!! Cat Dream - get it?! It's HER fabric! I just loved this fabric since I first laid eyes on it several weeks ago. It has a probable home planned, even though not all the coordinating fabrics have been purchased, nor a pattern decided upon. I shake my head at how many times these blogs show things in my life coming full circle, even as small a thing as admiring a fabric for months (the pearl bracelets), finally buying some, ending up spontaneously just now taking a picture of said fabric, googling the designer, finding out her latest line is what I just purchased a couple yards of and received yesterday!! And ya, I've been caught fabric-handed. I'm still buying, even though I haven't finished my to-do pile of projects. Sigh. Speaking of projects to finish, I'm off to bind a quilt! 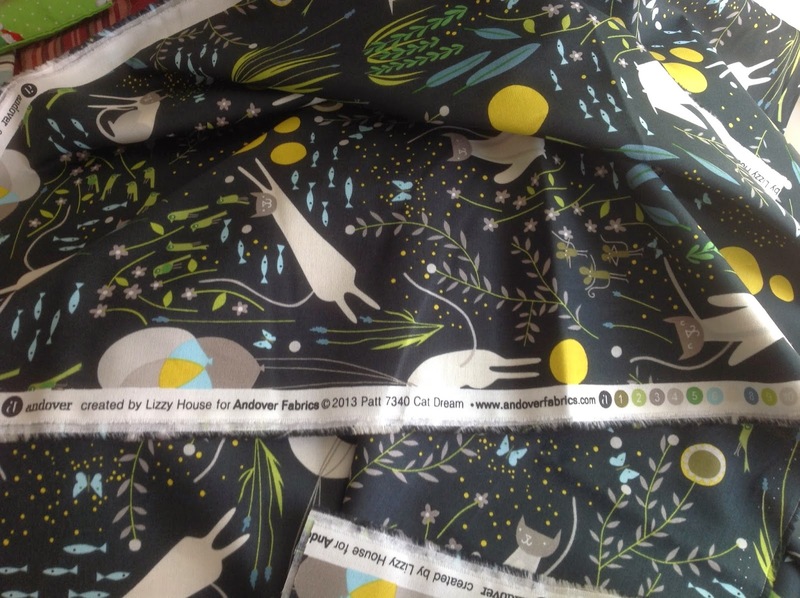 Aw that cat fabric is CUTE! !